This is a photo of a wash machine in a hospital laundry room. 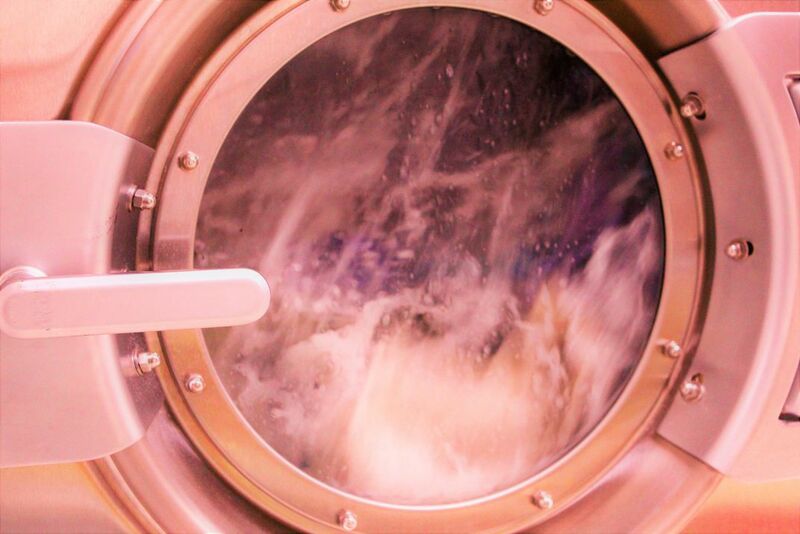 I was photographing the laundress for this contest and shot some machine photos. Trying to present a common thing in an artistic manner to increase appreciation for the mundane, and for things sometimes taken for granted.